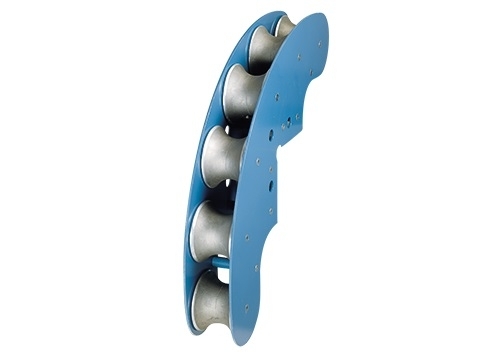 A series of 6 cast aluminum or 6 Nylatron® sheaves on bronze bearings allow cable to make a gradual 90° turn for easy pulling through manhole opening. 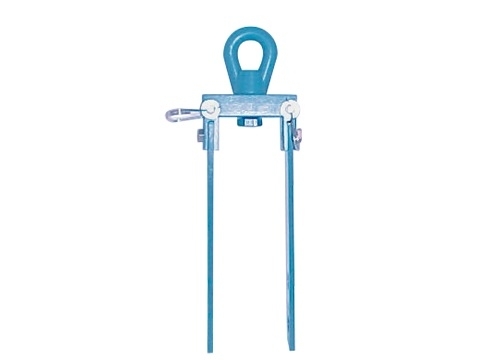 Pulling radius of 24.25 inches (616 mm). 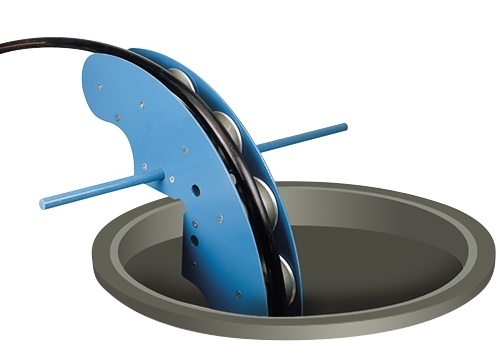 Can also be suspended in manhole to provide alignment to duct run. 4,800 lbs. 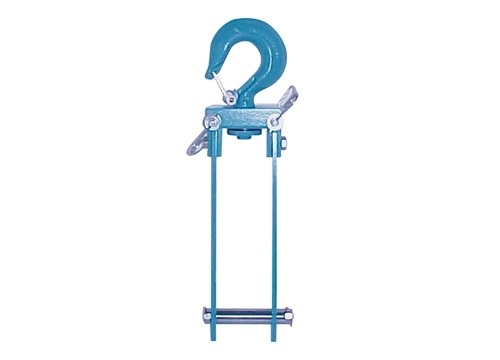 (21,350 N) cable tension load capacity. Support Bar sold separately (see pg. 112). Replacement Sheaves available. See Specifications and Selection Charts on page 113.